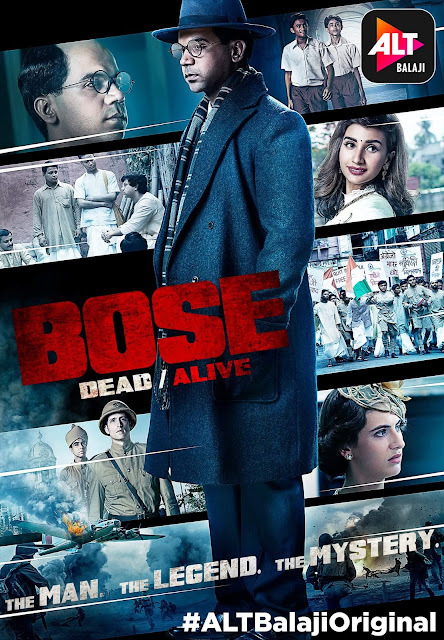 'Bose Dead/Alive' is an upcoming web series which will be telecast on Ekta Kapoor's Alt Balaji Channel. The show is directed by Pulkit, the show has been created by Hansal Mehta. The trailer of ALTBalaji's Bose-Dead/Alive will be launched on 18th August, 2017. Titled "Bose-Dead/Alive", the show is an unraveling of India's biggest cover up, based on the life of Subhash Chandra Bose. Rajkummar, an actor known for his sheer dedication and talent has given his blood, sweat and tears and the transformation is visible in this exclusive first look image. This is a biopic on Netaji Subhash Chandra Bose, which will showcase the untold story of the adventurous freedom fighter’s life. The digital series will seek to unravel a larger mystery surrounding Bose and his life that is still unknown.